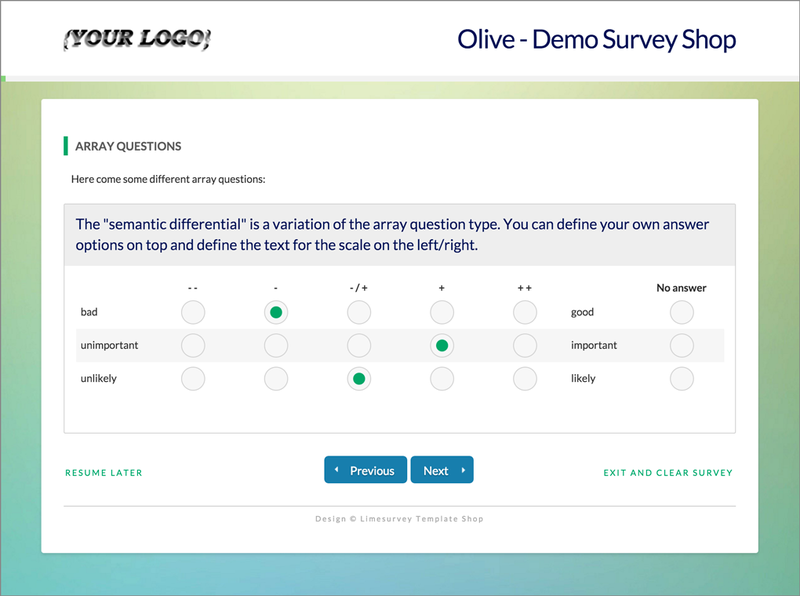 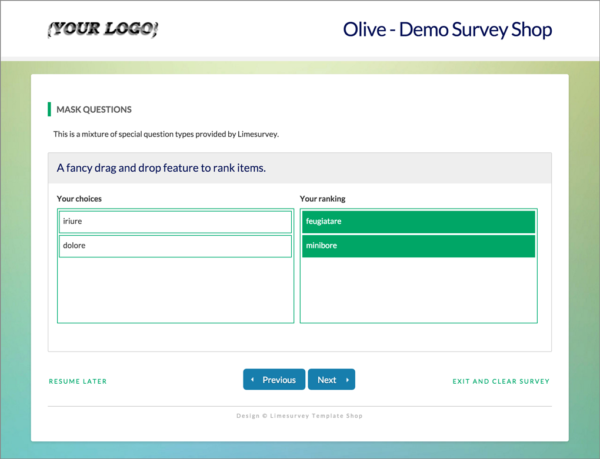 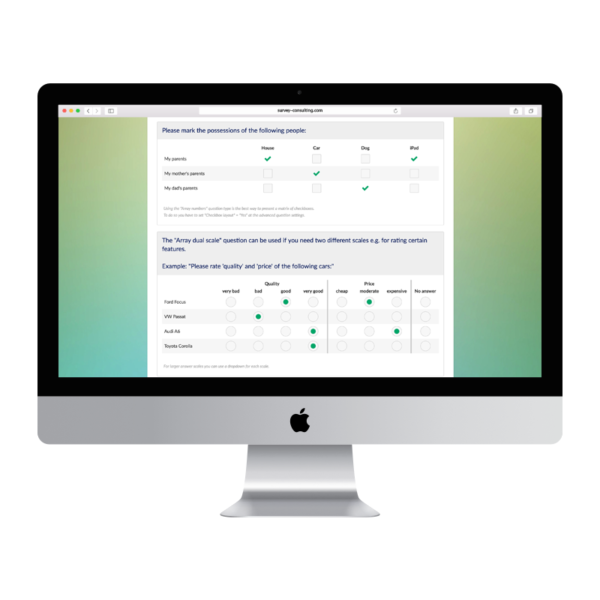 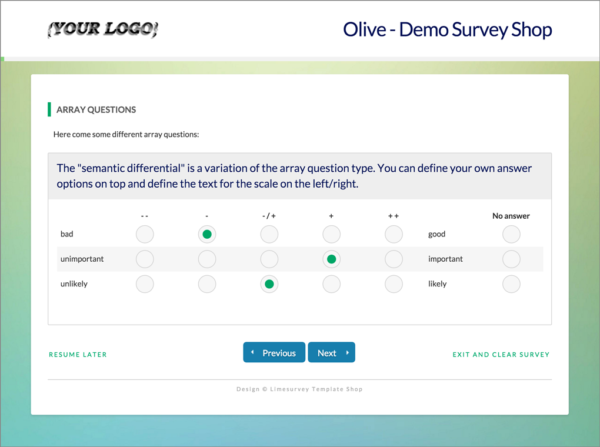 A friendly and modern limesurvey template with a color scheme of green and blue shades. Flat elements and a full-width progress bar round out this mobile-optimized template with its hamronic design. 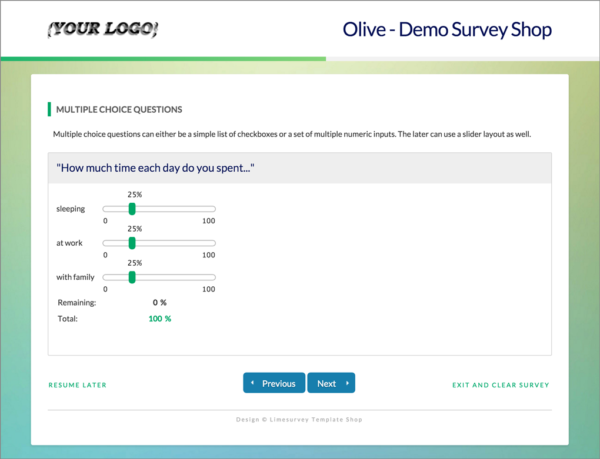 It is tested with smartphones and tablets but can also be used for desktop surveys as it works fine in every common browser. 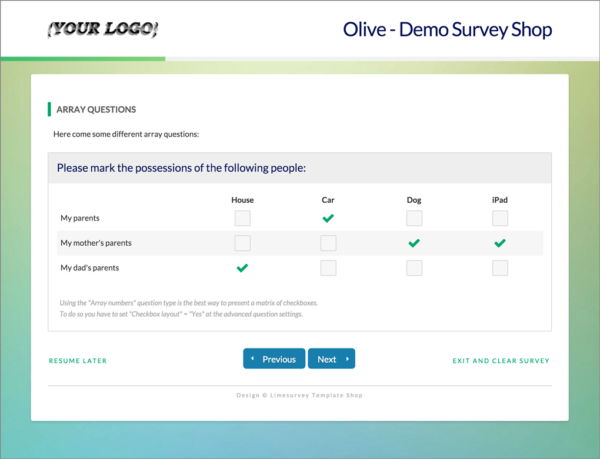 It is the perfect template to serve different devices. Larger images are used for radio and checkbox buttons to make them easy to click. They can easily be replaced with custom images. 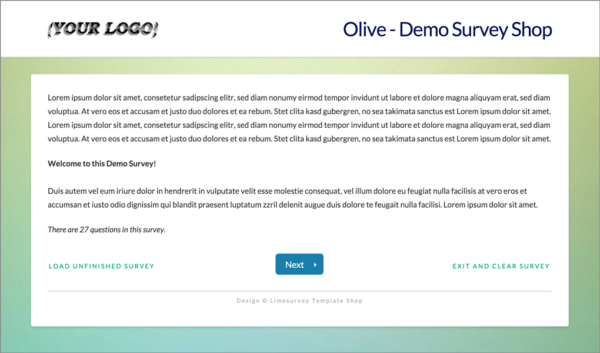 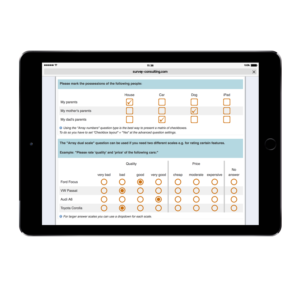 The template also comes with a large survey title text as well as different styles for primary and secondary navigation buttons.